Reading Frequency Linked To Wellbeing and Deprivation: New research carried out by DJS Research Ltd, the full service research agency of which VoicED is a specialist department, has found a divide in the UK between readers and non-readers, linked to wellbeing and deprivation. A significant number of adults in the UK have negative attitudes to reading – despite the fact that people who regularly pick up a book are, on average, more satisfied with life and are more likely to think that what they do in life is worthwhile. Among the 1500 adult respondents to the survey, almost a fifth (18%) said they never read physical books, with almost three quarters (71%) saying they never read e-books. More than a third (36%) often start a book and get bored, whilst 35% said they cannot find the time. More than half of respondents (56%) felt that the internet would replace books within the next twenty years – a figure which rises to almost two thirds (64%) among 18-30 year olds. Almost half of respondents (45%) said that they prefer Television and DVDs to reading. However, the findings were not all negative – with substantial numbers saying that reading improved their lives and that it made them feel good (76%), and half (49%) saying they enjoy reading books very much. Positively, the average number of books owned by the average respondent was 200, with more than half owing more than fifty. Three quarters of people preferred to read physical books (76%) whilst one in ten preferred to read e-books, such as Amazon’s Kindle for instance. 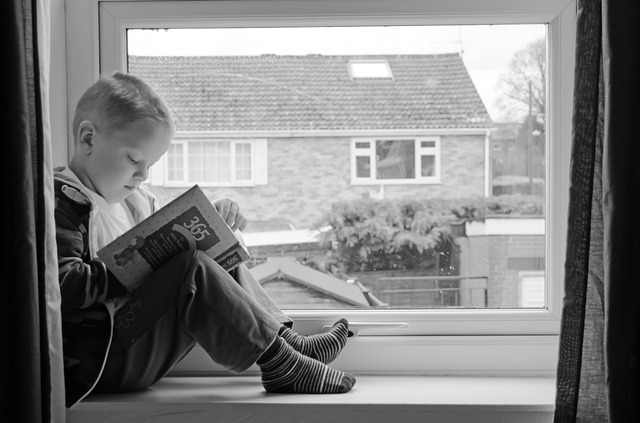 The research found a link between reading, wellbeing and deprivation. More frequent book readers generally lived in areas of lower deprivation and with fewer children living in poverty, whilst those who read less were more likely to live in areas of higher deprivation with increased levels of child poverty. This trend also followed in terms of the average member of a socio-economic group – with 62% of ABs reading daily or weekly, compared to only 42% of DE respondents. However, the report did note that further research would be necessary to identify the causality behind these figures. Across all respondent age groups, women are likely to read more frequently than men – and females also tend to be more positive about books. The research went on to be published on a number of global news sites, including MSN UK, BBC News and The Guardian.